This is me, Menno Arkesteijn. 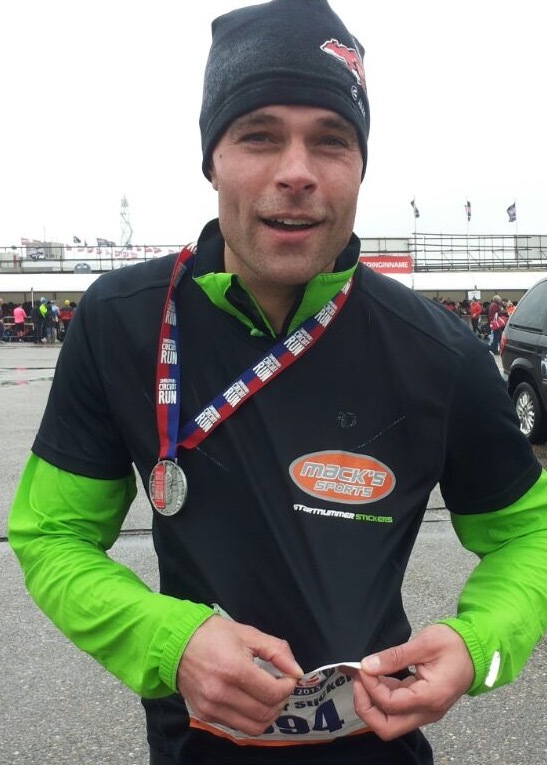 I started running in 2012 and ran my first event back then in my hometown Hoorn (Holland). Right there I came up with the idea to develop an alternative for the safety-pins. As you can see I tested the BibDots myself thoroughly… even in bad weathers. Are you a fan of the BibDots? Visit, Like and Share the BibDots Facebook page! I often buy a new shirt when I have a nice run. Nice for the photos but also for my feeling. I’m going to run faster! Only .. you get a starting number with safety pins. Noooo There goes my nice new shirt .. But hey, there is now a solution! A drawback we find the start number, with those pins we all puncture our beautiful shirts. Now there are elastic bands that you can do around your waist, but they are not for a meter. So a problem. 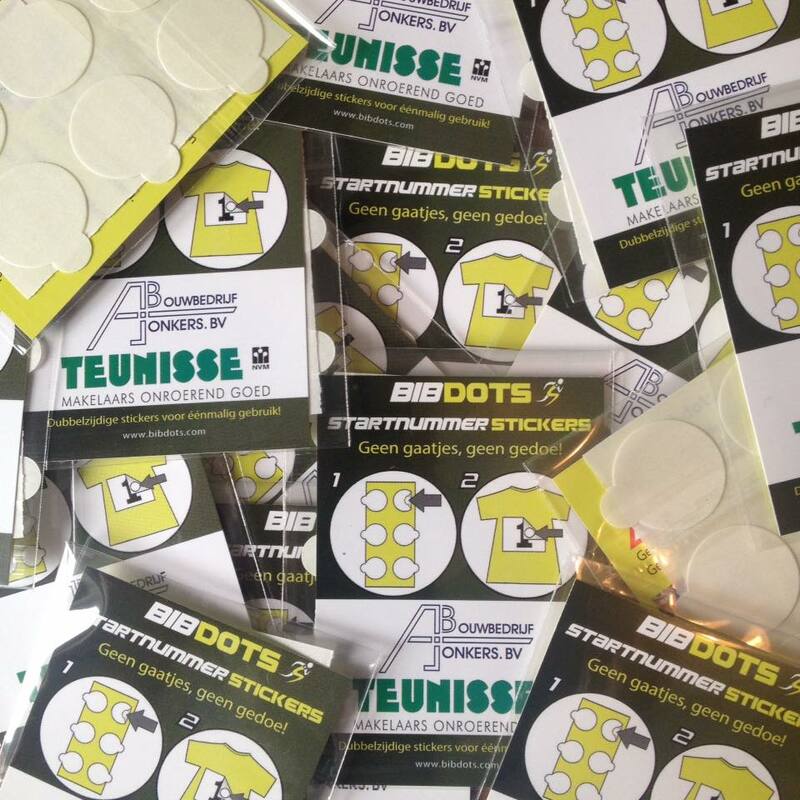 But not anymore, because thanks to the double-sided stickers from startnummerstickers.nl you do not need any more pins. You just buy the small package with 3 sheets of 6 and 2 spare stickers and stick them on the corners of your starting number. Ideal if you have nice running clothes and do not want to get holes there. I was a little bit skeptical, so I also put safety pins in my pocket, but they were absolutely not necessary!